Does the Juggler in the circus remind you of somebody, maybe your mother, your sister, or—gasp!—perhaps even you? But unlike the juggler who tries to keep all the balls in the air during the duration of the show, you juggle between so many responsibilities every single day of your life. You look after your kids, your home, and your family without compromising on their care. Of course all this can—and probably does—leave a strain on your health. As International Women’s Day approaches, why not make a pledge for good health by making ourselves a priority? Women experience a number of complex changes in their body over the years and need to be replenished with nutrients and care. Here are 7 easy ways I follow to enjoy good health and wellness, because even thought they look simplistic and obvious (that’s why I call them easy), we do tend to forget to show ourselves some self-love. I always used to be that person who got her eight solid hours of zzz. However, over the last few months, I’ve been cheating on myself. To be healthy, adequate sleep is essential and should be ideally between 7 and 9 hours per night. When you get enough sleep, it keeps you awake and alert during the day. It keeps you from relying on caffeine and sugar-loaded energy drinks to keep you going. Sleep also helps you detox and heal your body and mind and of course, keeps you from getting those dark circles around your eyes. I emphasize the importance of sleep because if you are diabetic like me, a lack of sleep is the best way to mess up blood glucose levels. And good luck with that. A healthy balanced diet that incudes carbohydrates, protein, fruits, vegetables, and fat in the right proportions with all the nutrients your body requires is essential for your good health. Get your carbs from whole grains, protein from lean meat, fish, eggs, nuts and legumes. Include at least 6 servings of fresh fruit and vegetables a day. Fat is necessary to keep your system functioning smoothly. Include fish oil, cold pressed oils, olive oil and coconut oil, which are healthy fats, in your diet. If you are over 30 or have children, you will also probably need calcium supplements as the body tends to lose calcium post childbirth and with aging. Check with your doc about this. I do not recommend self-medication. Considering that our body is composed of 75% water, staying hydrated is crucial to help you get through the day. Try drinking 7 to 8 glasses of water each day. It re-energizes you and keeps you alert. Not drinking enough fresh water can lead to acne, headaches, and severe dehydration. And dry skin and other awful health issues. Ensure that the water you consume is safe. Invest in a quality water purifier from brands like Kent. These days you can conveniently shop and buy water filters online at great prices. Compare features, prices and make an informed choice. You know what they say. Prevention is better than cure. Get yourself checked by your gynecologist regularly. If there is medication, take it diligently. Undergo cancer screenings annually. Get blood tests done on a regular basis to keep a tab on the vital parameters of the body like sugar and cholesterol levels. Regular health checks will keep you in good health and spot any problem in the early stages, keeping life-threatening diseases at bay. Exercise every day, even if it is just half an hour. Physical activity helps you look better, feel better. Research shows that our body releases endorphins, also known as happy hormones, when we are physically active. Walking is great exercise. If possible, walk to work. If you can’t make the whole distance, try parking a little away from your workplace or wherever you are going, and walk the rest of the way. Or if, like me, you don’t have a car, take the bus, get off a couple of stops earlier and walk the remaining distance. Do something fun. I know you keep meaning to, someday. As far as I know, “someday” is not a day of the week. Play with your pet, go swimming, or jump on a trampoline, read, play chess, spend time with coloring pages. Paint. Sketch. Try some DIY. Or do my favorite thing: play with kids. They keep you active and you don’t even realize how much you move! Doing things you love keeps you in a good mood. If you have a bad day at work, work off the stress with activity. Best thing ever. Nothing compares to spending time with your BFFs and enjoying a cup of coffee together. There’s research to prove that friends enrich your life and improve your health and keep you happy. And of course, laugh, smile. And yes, please reward yourself for being good to yourself. So. Will you take the pledge with me to lead a healthy life? All wonderful points, Vidya. And each one equally important to lead a healthy life. I will just add that mental exercise is just as important as physical exercise especially with increasing stress. Many friends are jealous of your achievements these days…I have found strangers giving better feedback to me than few friends. That’s good to know. 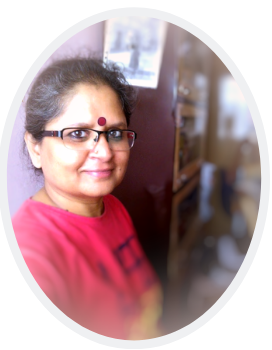 Maybe I am new so still experimenting…I find bliss in few of the things I do – exercising, toastmasters, and stock market play taking most of my time. Wonderful points to live by. I have been experiencing, recently, the benefits of healthy eating, of including lots of fruits and raw vegetables in the diet. This modification in my diet is aiding me in getting more active during the day. I agree a good laugh or 2 with friends surely keeps the happiness quotient high. Those are some great tips! Especially the ones about exercise and doing what you love! I have always loved my sleep. Even during exams the whole house would be up because of my alarm and I’d be fast asleep. Perhaps the best post that I had to read today. You already know of my ‘battle with sleep’. I’m trying to get into the healthy eating bits too. And spending time with awesome friends (and neighbours) like you help to. POints that most are aware of yet seldom apply to their lives. A reminder of taking care of onesself and living a healthy life. Probably what I need to work towards is hanging out more with friends.So caught up am I in daily life, that I seem to have been doing fun things with friends…. Thanks, Vidya. So sane, so obvious, so much like common sense and refreshing. I am totally sleep deprived these days! And the shop leaves no time for socialization. Other than that, I think I’ve got a hang of this… finally! Awwww Chicky! One thing I’ve learned is, when I want to do something, I have to make the time. Of course I slip up, but these days, I am more conscious about what I spend my time on. Set boundaries. Otherwise, running your own business will turn into your business running you.And you don’t really want that sneaky thing called regret creeping in! Hugs! You’re looking great these days, by the way! Each of these points is a takeaway. They’re simple, and that is the reason we keep forgetting them. Reminders like these, salted with wisdom and peppered with experience is what works well ! Sleep is often the best medicine for stress. A good nap wipes away stress and I’ve often felt that most problems seem less intimidating when tackled after a good, deep, refreshing sleep. Thanks for your shared wisdom, as always, Vidya (even when I don’t comment). Sleep is currently my biggest issue. I think I do most of the other things but only manage 5 to 6.5 hours of sleep. I would like ideally 7-8 hours. Good tips there Vidya! Thank you! I love to sleep and feel rather miffed that I don’t get to bed when I want to, these days. Blame the time difference I share with my clients.Also, it is so quiet at night and easier to get more done than during the day! I can imagine not wanting to go out during winter. Sigh. It is never that cold where I live! But now that summer is here, I’ll definitely be outdoors more! Hugs! I am still giggling over your Japanese toys post! I agree with you that’s really a Easy Tips to Ensure a Healthy Life. you can also add the water is most important for better health. use water purifier for best health. Nowadays, the essential thing for healthy life is water and a better food but all the person ignores those basic things. 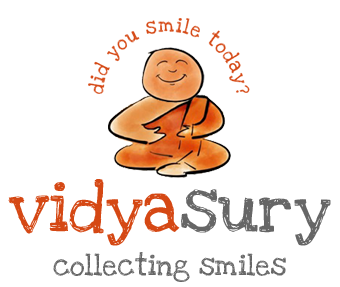 Hi Vidya Sury, All Great points. Thank You. Thanks for the tips and suggestion. Exercise and hanging out with friends not only keep us healthy but also relieve stress. Previously, I hardly use to drink 1 litre of water a day but thanks to the discovery of water purifier. Now I can drink almost 2 litres a day. I myself realized drinking 2-3 litres of water keeps skin hydrated, glowing as well as eliminates toxins from the body. I never thought that one way to keep oneself healthy is to visit a gynecologist regularly. Reading this tip reminded me of my daughter, who is almost at the age where she will begin her first cycle. Your article inspired me to find one as soon as possible so that she can learn about the changes in her body once she gets it.